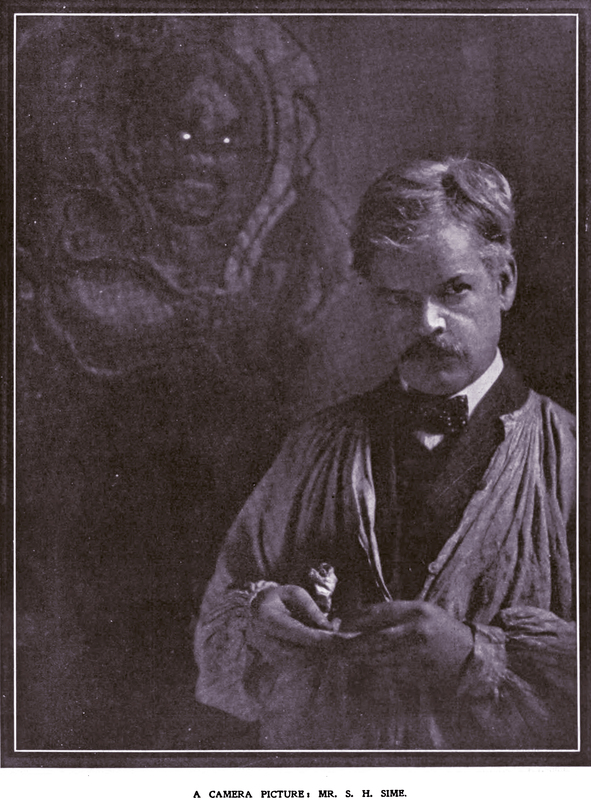 Artist S. H. Sime depicted in The Sketch, 1910. 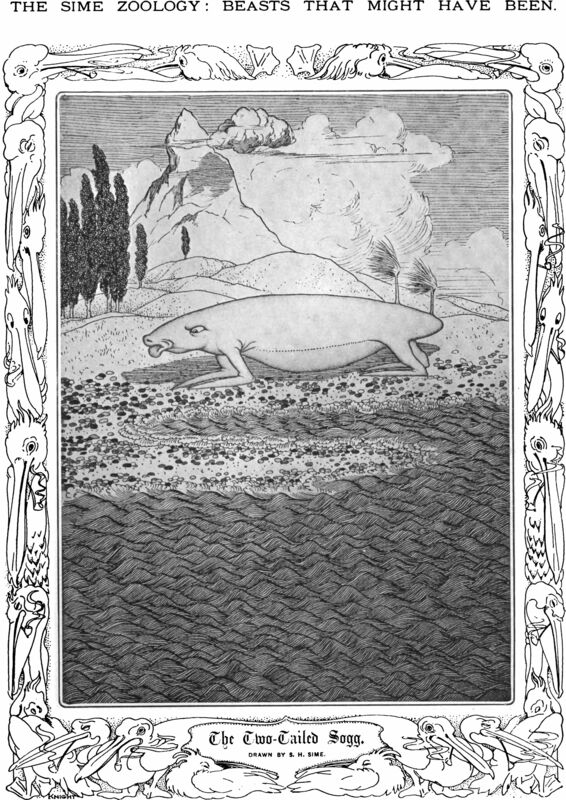 The Wily Grasser as imagined by S. H. Sime, in The Sketch, 1905. 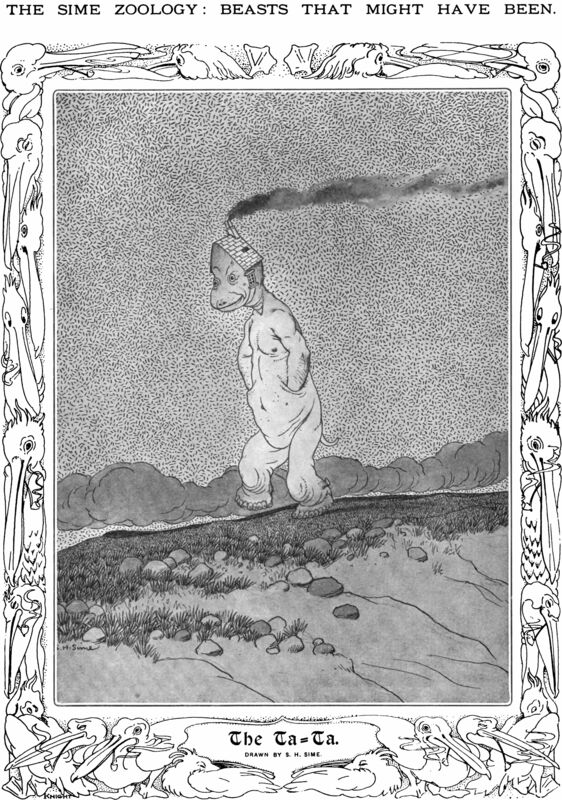 "The Snide" as imagined by S. H. Sime for The Sketch, 1905. 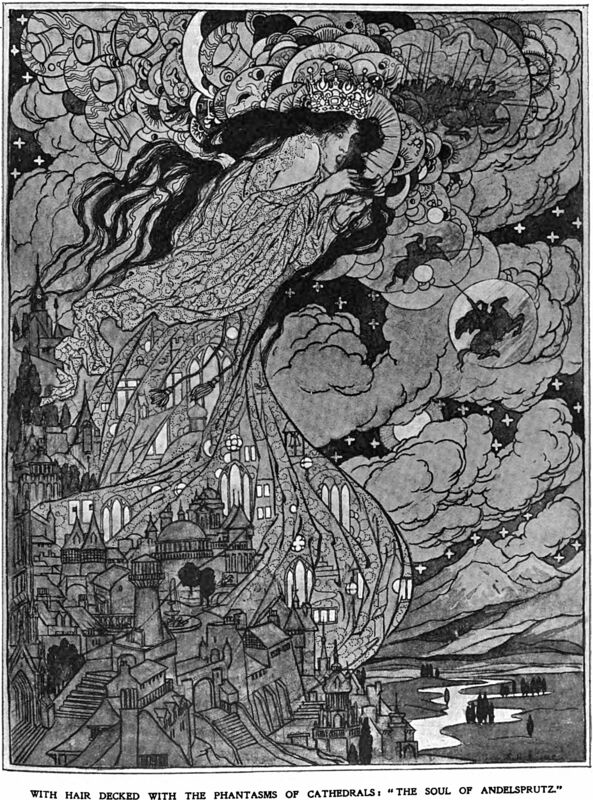 "With hair decked with the phantasms of cathedrals" -- an illustraton by S. H. Sime for Lord Dunsany's "A Dreamer's Tales," in The Sketch, 1910. 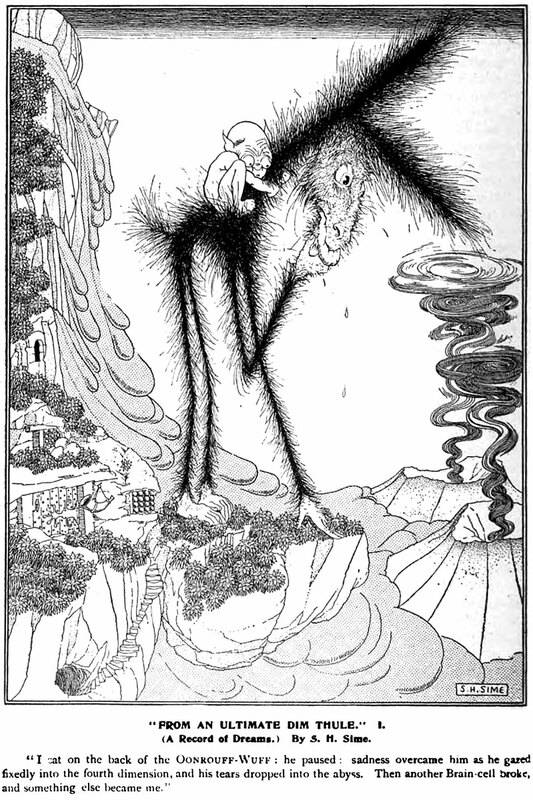 "The two-tailed sogg" as envisioned by S. H. Sime for The Sketch, 1905. 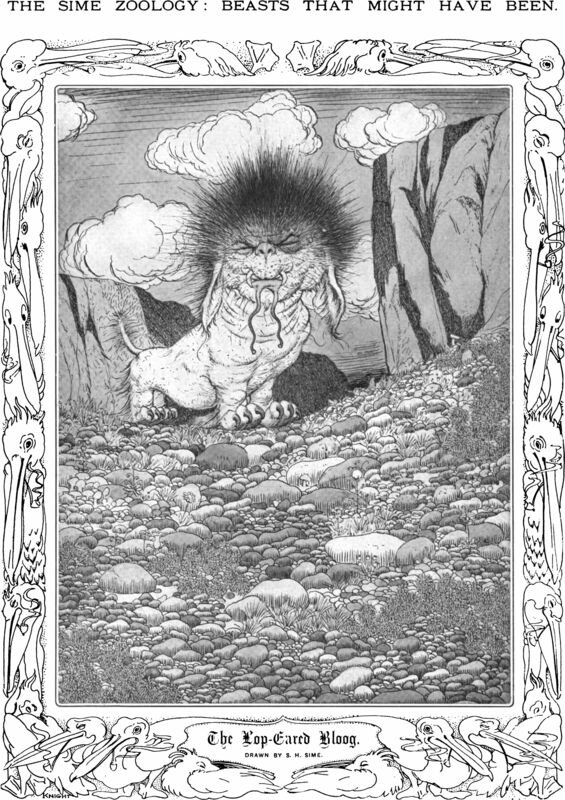 "The lop-eared bloog" as imagined by S. H. Sime for The Sketch, 1905. 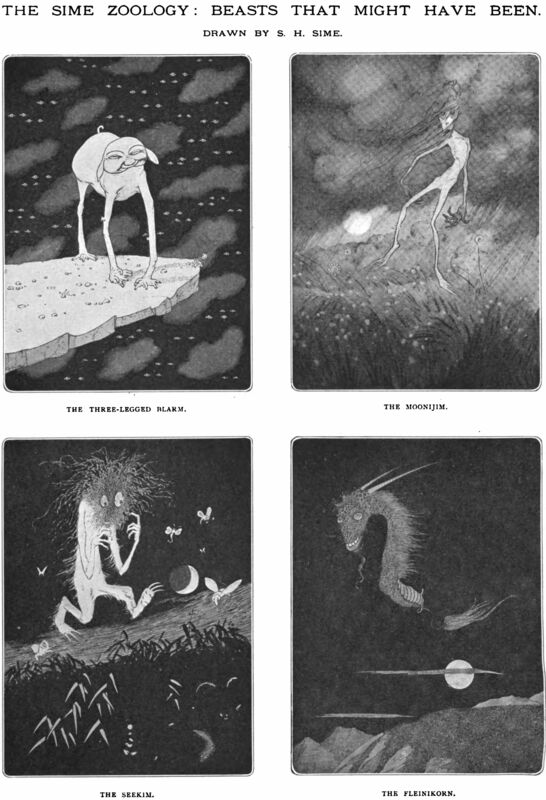 "The Ta-ta" as imagined by S. H. Sime for The Sketch, 1905. 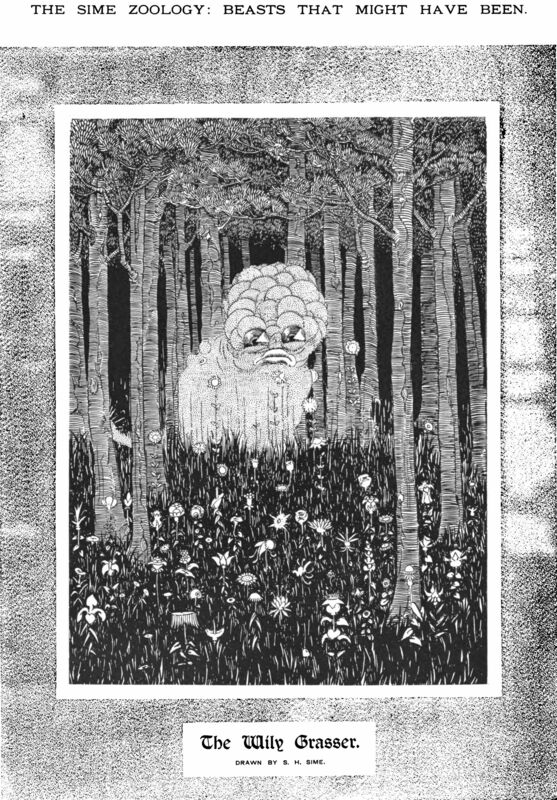 An illustration from a 1900 issue of The Idler magazine. 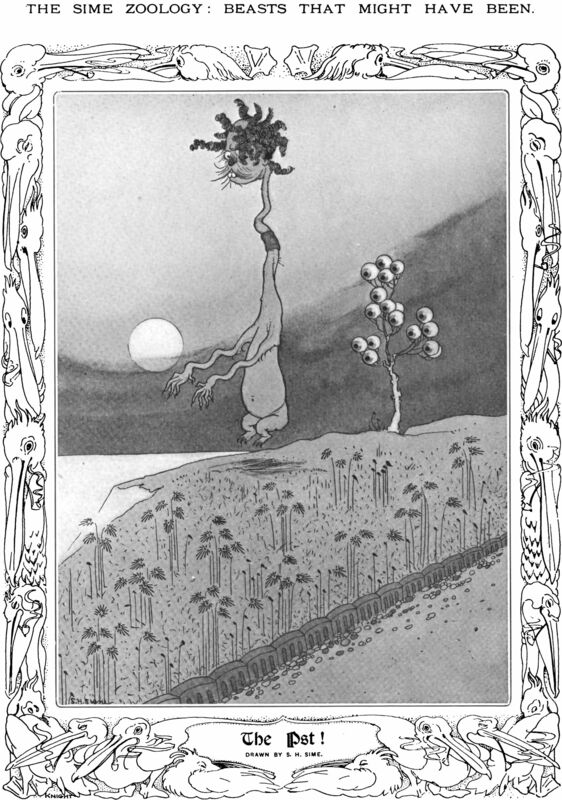 The caption reads: "The Listening Sphinx by S.H. Sime." 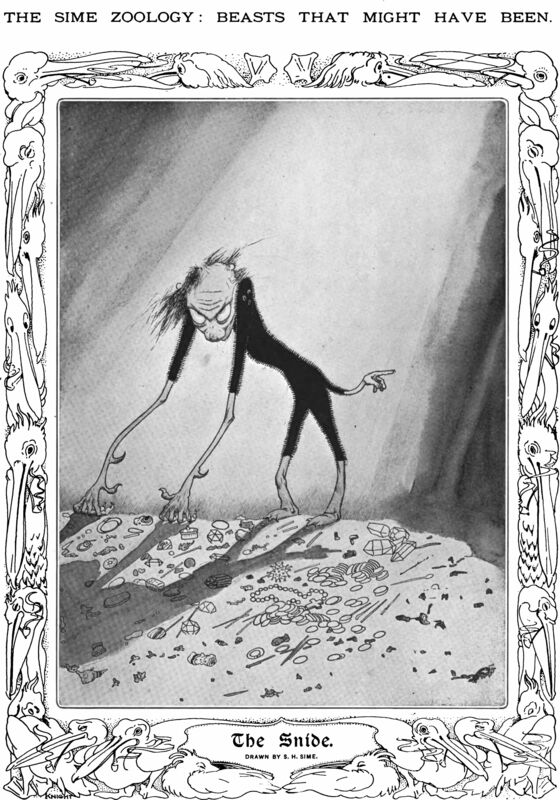 An illustration from an 1897 issue of The Idler magazine. 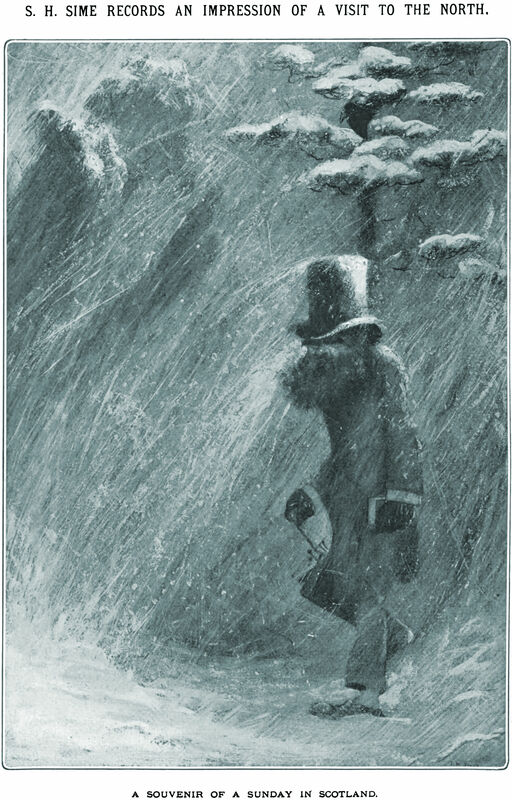 The caption reads: "From An Ultimate Dim Thule. (A Record of Dreams.) By S.H. Sime. 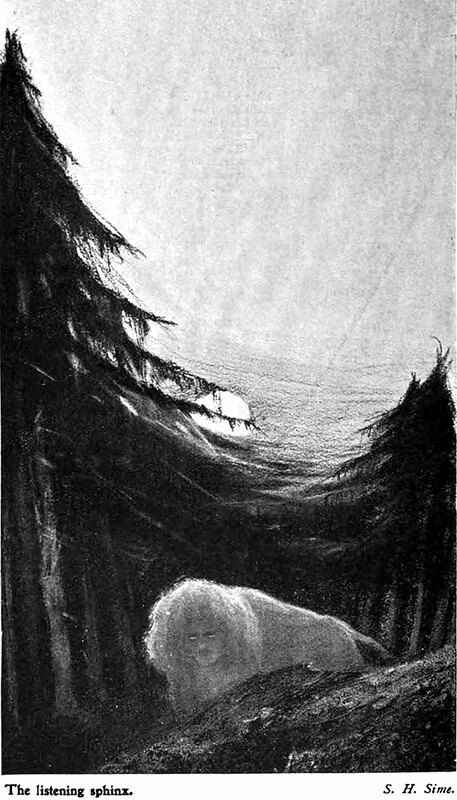 'I sat on the back of the Oonrouff-Wuff: he paused: sadness overcame him as he gazed fixedly into the fourth dimension and his tears dropped into the abyss. Then another Brain-cell broke, and something else became me.'"